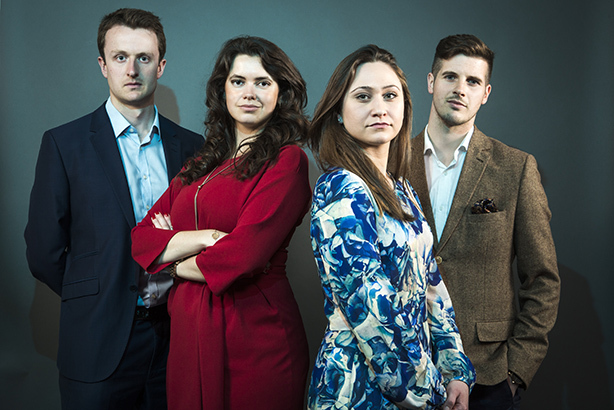 The judges for this year's 30 Under 30 from PRWeek UK have been confirmed - as the deadline for entries nears. Update: the deadline for entries has been extended to 10am on Monday 30 April. PRWeek UK has launched its annual 30 Under 30 project to showcase the young stars of PR - and this year entrants can also enter the Young PR Professionals category at the 2018 PRWeek UK Awards at no extra cost. In addition, the three individuals given the highest scores by the 30 Under 30 judges will get free access to one PRWeek Breakfast Briefing of their choice over the following 12 months. Click here for the 30 Under 30 submission form. PR professionals aged under 30 can be nominated for inclusion in the prestigious list, which recognises those with the greatest potential to become industry leaders of the future – and those who have achieved greatness already. Successful applicants will be photographed and interviewed for a special feature in the July edition of PRWeek UK. The photography will take place at the London office of Hanover Communications on the afternoon of Thursday 31 May, with a drinks reception and networking event afterwards. This year, anyone nominated for 30 Under 30 will automatically be able to enter the Young PR Professionals category at the PRWeek Awards without an extra cost - click here for details about the PRWeek Awards. The cost of entry to 30 Under 30 is £250. Entry is open to any UK-based PR or public affairs professional aged under 30 on 20 July 2018, working either in-house or agency-side. The online application form must be completed by a nominator (usually a line manager or similar); entries from nominees will not be accepted. Nominees must be available for the afternoon photoshoot in May (date to be confirmed). Nominees must also be prepared to answer a short Q&A on themselves and be willing to be interviewed by PRWeek. Please do not enter someone who is unable to attend the photoshoot in central London on Thursday 31 May, or anyone previously named in the 30 Under 30. To enter, click here. The final deadline is 10am on Monday 30 April. Email Liz Clayton with any questions. Click to read out about PRWeek’s 30 Under 30 contingent from 2017.